The coastal town and port of Oropos, known as Skala Oropou, is located 38km north of the capital city of Athens, and is a popular town with visitors to this part of Attica. 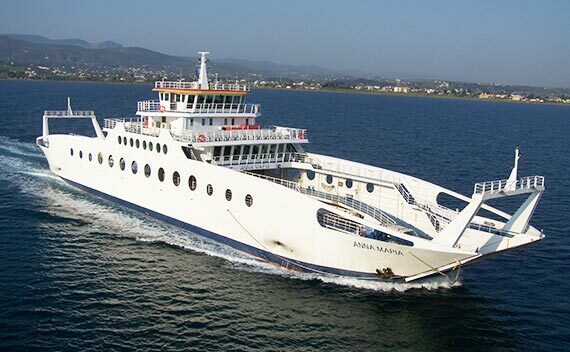 The port of Oropos offers daily ferry connections with the coastal resort of Eretria on the island of Evia. The town is a very historic one, and the ancient town of Oropos is where we today find the modern day town of Skala Oropou. A number of archaeological findings were made in the town and the surrounding area including the Sanctuary and Oracle of Amphiaraos which continued to be used as a sanctuary and as a place of divination and of healing up until the 4th century A.D. The long coastal road is home to a variety of local tavernas and cafes, where you can take a seat right next to the water and enjoy a meal or something to drink. There are a number of beaches where you can relax and swim during the hot summer months.